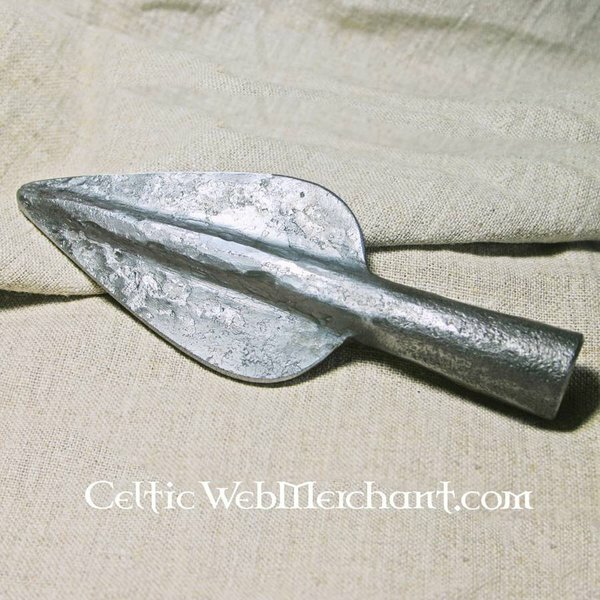 This Celtic spearhead is a replica of an original from the 1stcentury BC found in Gaul. 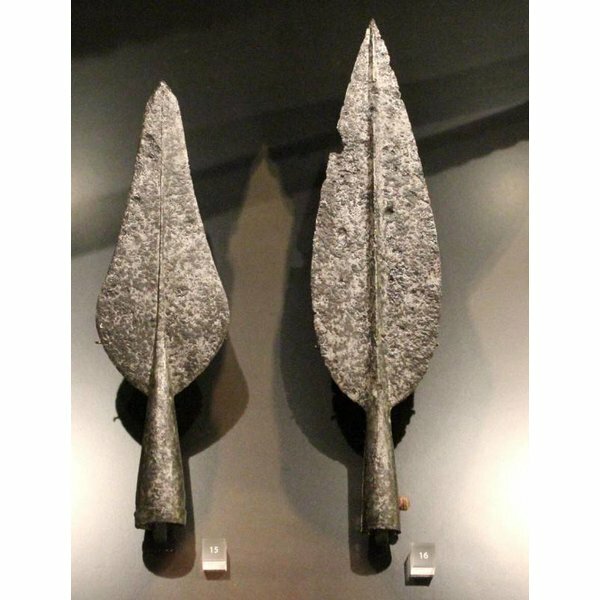 Nowadays it is part of the collection of the het Musée d`archéologie nationale in Saint-Germain-en-Laye (under Paris). 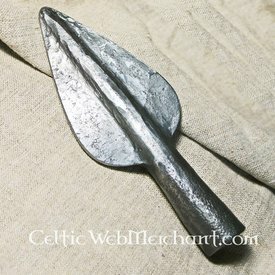 Spears like this were frequently used in the late La Tène period. The head is completely hand forged of carbon steel and it measures 15 x 5 cm. The shaft ring has a diameter of 2 cm.